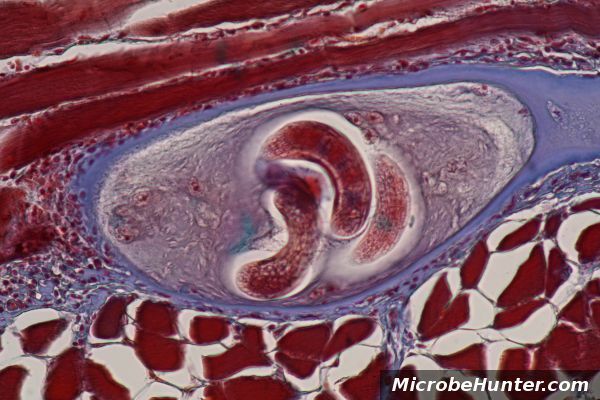 Trichinella spiralis is the smallest nematode parasite in humans. It causes the disease trichinosis. It is also one of the most wide spread parasites of the world. It can be contracted by eating raw or half-cooked pork or wild game animals. 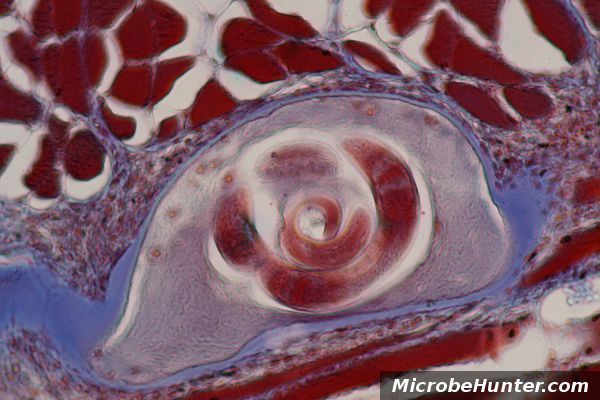 Encapsuled Trichinella spiralis larva in muscle. The larva is cut diagonally. The larva (circular patterns) in cross-section. 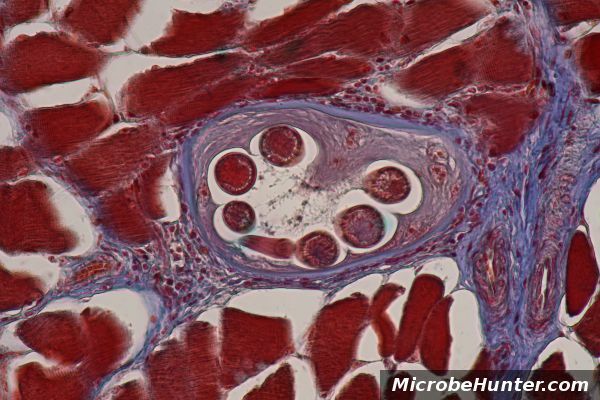 T. spiralis larva are encapsuled in the muscle of the host animal. The pictures on the right show different cross-sections of this stage. A person who eats raw or undercooked meat will take these larva up into the body. The larvae are released by the stomach acid and pass into the intestine, where they mature and start to reproduce. The offspring larvae travel in the circulatory system throughout the body and settle in the muscles, where they encyst again.